The digital marketing thinking leader Cynthia Johnson will back to Italy, thanks to TGTMC for a workshop about personal branding for business, dedicated both to professionals and companies. Already a speaker for major international events such as Websummit, Adobe Summit, Global Ventures Summit, and, coming off the success of her book "Platform: the art and science of social media", she will guide us to develop a personal brand, build an audience and feed the followers. How will this workshop benefit you, your team, your company? The first two phases will be covered in the preworkshop work and during the workshop itself. The primary objective of the workshop is to create a clear and concise message that not only creates opportunities but also creates and attracts the relevant opportunities to the goals set forth, as well as leaving you, your team, your company, with tools to achieve those goals. We first identify the message and positioning needed to leverage the brand, in order to achieve specific and clearly defined goals. From there, we will detail the digital assets, media materials, and promotional content that should be created and used throughout each part of the personal branding process and into the management of your campaign to capture and create additional growth opportunities. Cynthia Johnson is an entrepreneur, marketing professional, author and international speaker. She is Co-Founder at Bell + Ivy, and Founder at CynthiaLIVE. Previously, she was Partner & Director of Marketing for RankLab, a digital marketing agency listed in Inc. Magazine's Fastest Growing Private Companies in 2015. In July of 2015 RankLab was acquired by American Addiction Centers. She is an Advisory Board member for The Millennium Alliance, a leading technology, business, and educational advisory firm serving Fortune 1000 C-Level executives. She has been involved in campaigns for Outerknown, HereMedia, West Management, Chevy’s, PETA, and several other leading brands. 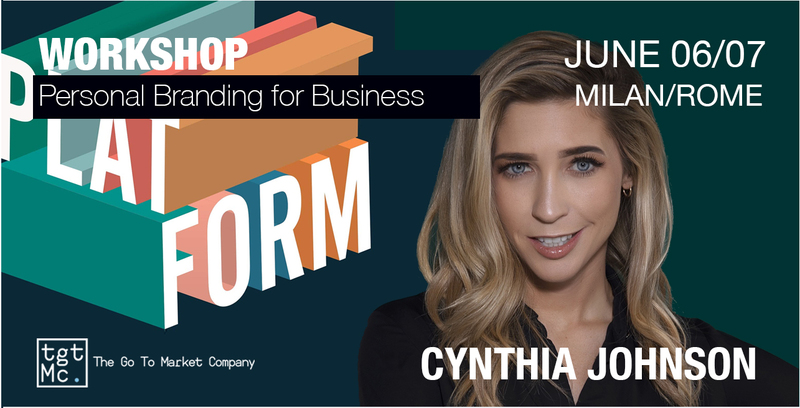 Cynthia was listed as top personal branding experts in 2017 by Entrepreneur, top 50 marketers on SnapChat by Mashable, top 12 Female Entrepreneurs that Inspire by Darling Magazine, and top 20 people in SEO by Guardian. She is also a member of the Young Entrepreneurs Council, and a contributor to Entrepreneur, Forbes, and several other industry-specific publications. Cynthia has over 2 million social media followers. 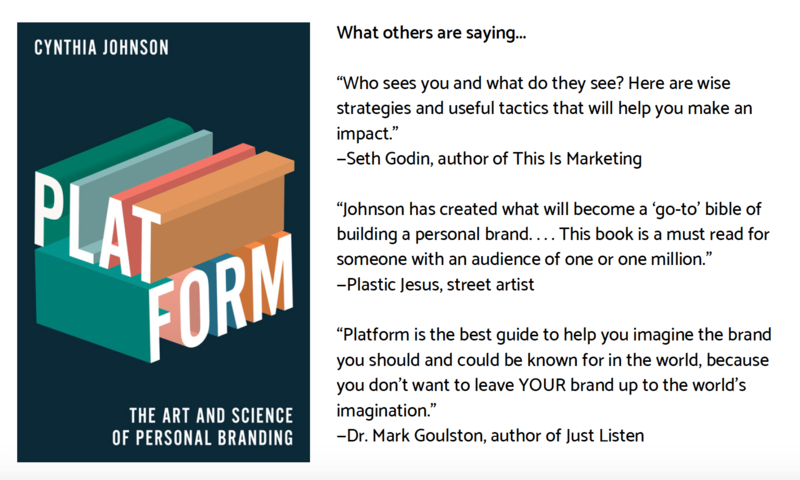 Platform, The Art & Science of Personal Branding Publish Feb. 2019 with Penguin Random House, PLATFORM is the indispensable guide to developing a personal brand, building an audience, and nurturing followers, by digital marketing thought-leader Cynthia Johnson. In the modern world, influence is everything and personal branding equals influence. Platform is the why-to, how-to handbook by top expert Cynthia Johnson for everyone who wants to develop and manage a personal brand.